The second edition of the TLP exercise may be one of the last ones at Florennes AB, Ramon van Opdorp reports. The second Tactical Leadership Programme started off with some better weather than the first TLP of 2007. Although there was some rain every now and then as well as a low cloud base, the sun was present on most days. This made photographing the aircraft much easier and of course resulted in much better quality pictures. Many rumours/stories are going around for some years now, that the Tactical Leadership Programme will move away from Florennes. Florennes air base in the south of Belgium has hosted the TLP for many years, but this could come to an end. Strong rumours suggest that the TLP will be moved to Albacete air base in the south-east corner of Spain. The organistaion has several good reasons to do this. Arguments that were used in favor of Florennes in the past, will now be used against it. Last year of the TLP at Florennes? Because of its central position in Western Europe, Florennes air base was selected to host this exercise from March 1989 onwards. From Florennes, TLP sorties have since been flown throughout the UK, Netherlands, Belgium, Germany, Denmark and France. This provides many advantages, most importantly the variety of terrain and targets over which missions can be flown as well as spreading the burden of noise and providing weather alternate routes. A large diversity of aircraft from many nations have landed on the Belgian tarmac over the years; Belgium Air Force (F-16), Royal Danish Air Force (F-16), France's Armée de l'Air (Jaguar, Mirage F.1CT/CR and Mirage 2000C/D/N), German Luftwaffe (F-4 and Tornado), German Marineflieger (Tornado), Hellenic Air Force (F-16, F-4 and Mirage 2000), Italian Air Force (AMX, F-104, Tornado IDS and F.3), Italian Navy (AV-8), Royal Netherlands Air Force (F-16), Royal Norwegian Air Force (F-5 and F-16), Portuguese Air Force (F-16), Spain's Ejercito del Aire (EF-18 and Mirage F.1), Spanish Navy (EAV-8), Turkish Air Force (F-4 and F-16), Royal Air Force (Jaguar, Tornado GR.1/GR.4 and F.3) and the USAF Europe (F-15C/E and F-16C). Also many different transport aircraft from many countries have landed here to deliver the ground equipment the groundcrews of all the participants need to support the fighters. Nowadays, the airspace over Belgium and the surrounding countries has become very busy compared to previous years. Also the weather is a major factor for TLP missions, at the first TLP this year there where only two missions flown in two weeks time. Due to the fact that there is a higher need for better trained pilots and the fact that the eastern European nations will participate in TLP flying courses with their modern equipment (for example Czech Gripens and Polish F-16s), more space in both the air and on the base is neccessary. Florennes air base can meet the demand for space perfectly, however the weather cannot be controlled. Therefore would for example the Albacete air base in the south-east corner of Spain be a much better location for a large exercise like this. With more sun and clear skies than at Florennes, and thus more sorties, more pilots could attend the course and a higher level of qualification could be achieved. Every time you visit Florennes for the TLP, it is a gamble. You never know for sure if you will be able to see any aircraft flying, due to lots of uncontrollable factors around and on the base. And on 20 March it was my turn for bad luck, the whole mission was cancelled. However I was lucky enough that there was a special visitor in the shape of a single Mirage 2000D (665/330-AE) of the Tiger squadron EC05.330, from Mont-de-Marsan, France. 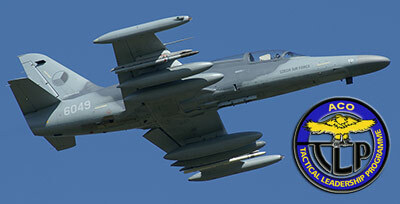 Two local missions were flown by the two Italian F-16s and two Czech Republic L-159 ALCAs. Also, the Belgium F-16 solo display flown by Michaël "Mickey" Artiges was practising his display routine for the 2007 air show season. On 27 March I had more luck, almost all aircraft were launched for the mission of that day. This course had attracted some nice aircraft, such as four F-16C Fighting Falcons from Greece, and for the second time participating, four L-159A trainers from the Czech Republic. The pilots from the USAF F-16C (91-391) and the Spanish EF-18+ (C15-89 46-17) were so friendly to bank their aircraft on take-off, which was perfect to photograph them. Knowing that this could be one of the last TLPs flown from Florennes air base, I plan to visit every other TLP edition flown from here. The third edition of this TLP will be a “Deployed flying course” flown from Karup, Denmark. And the fourth edition of this TLP course has been cancelled for now, because the runway will be undergoing maintenance at Florennes. The next TLP flown from Florennes will start 01 October.